It's a bit of a departure for Fontaine's, best known for antique clocks, lamps, and fine estates. 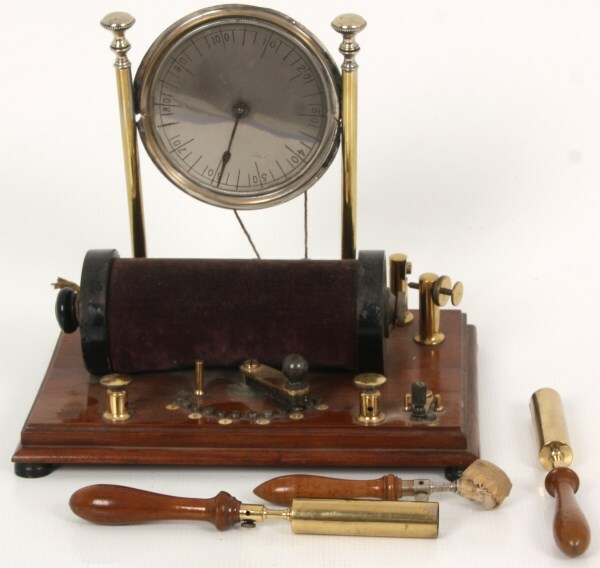 Fontaine's sale on December 12 will feature over 400 pieces of antique medical devices, quack and electroshock instruments, vintage World Wars I and II posters, Native American artifacts, coins, trains and comic books. 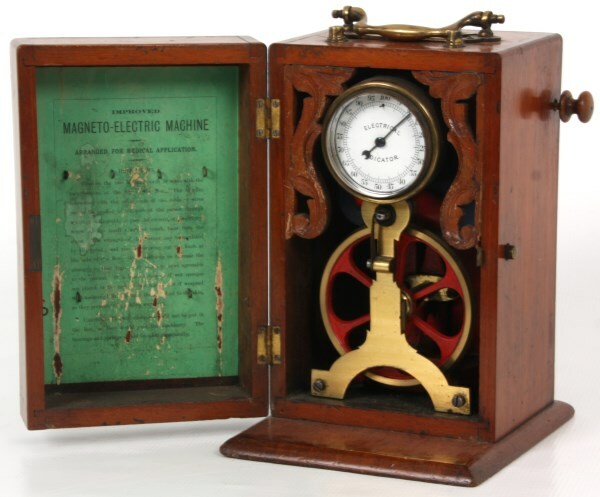 "This promises to be a fun sale, not just because the merchandise is so interesting and unusual – which it is – but because virtually everything being sold is within the reach of every level of collector, from the novice beginner to the seasoned veteran," said John Fontaine of Fontaine's Auction Gallery, "plus we're still adding new items." Indeed, there is only one item in the catalog expected to hammer for $10 000 or more: a large American Indian turquoise concho belt with 694 turquoise cabochons is estimated to bring $8 000-$12 000. Right on its heels is a vintage World War I U.S. Army recruiting poster, the iconic image Uncle Sam image by James Montgomery Flagg, estimate at $7 000-$ 9 000. 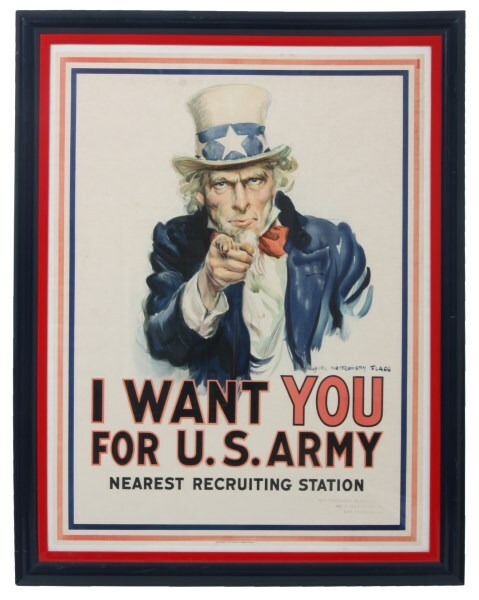 The poster, published in 1917 by the Leslie Judge Co. (N.Y.), depicts the well-known Uncle Sam portrait and the words, "I Want You, For US Army – Nearest Recruiting Station," (n this case, the San Fernando Building in Los Angeles, office-stamped to the poster. In addition to the James Montgomery Flagg poster, other examples from World Wars I and II will be plentiful, and not all are American. A case in point is the circa-1916 poster from Great Britain that reads, "Daddy, What Did You Do in the Great War?" while the man's two children play at his feet. Designed and printed by Johnson, Riddle & Co., Ltd. of London, the partially restored poster should hit $1 000-$1 500. Meanwhile, back in the States, a circa-1917 recruiting poster that reads "US Navy – Over There" and depicts a soldier being pointed towards battle by an armored figure representing Liberty, is expected to achieve $1 500-$2 500. 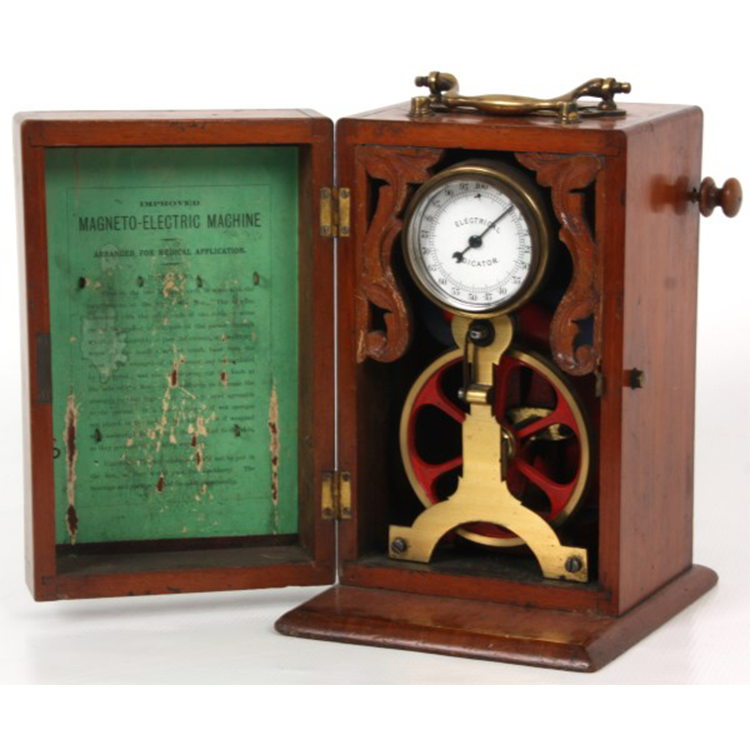 Antique medical devices, quack and electroshock instruments are niche collectibles with a loyal following. Offered will be a quack medical shock machine with standing dial and paddles that's expected to hit $1 500-$2 000.